Last month, MSNBC announced that regular contributor and fill-in host Melissa Harris-Perry would be getting her own weekend show, to follow Up with Chris Hayes. Today, the network announced that Harris-Perry’s show will be eponymous, which, I have learned, does not mean it will protect you from deadly bee stings, but rather, that her show will be called Melissa Harris-Perry, and it debuts Feb. 18 at 10 am. When news of Harris’ as-yet-untitled show first broke, I suggested that a fitting lead-out to Up with Chris Hayes would be Despite This Hangover with Melissa Harris-Perry. Another Twitter wag suggested the ruder, arguably funnier, Yours. 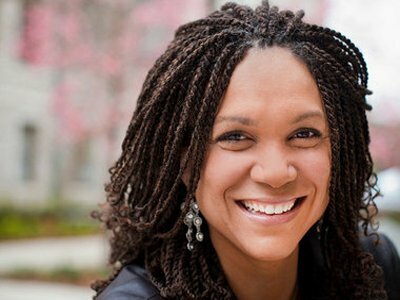 NEW YORK, NY—February 1, 2012—MSNBC Contributor, author and Tulane Professor Melissa Harris-Perry will debut her eponymous weekend program, “Melissa Harris-Perry,” on Saturday, February 18 at 10 AM ET. Melissa’s show will be live from 10a-noon ET both Saturday and Sunday. “Melissa Harris-Perry” will focus on national politics and will explore the intersections of culture, art and community issues that go beyond the beltway. A panel and guest-driven conversation featuring penetrating political analysis and humor, the show will continuously challenge the definition of “politics” and will push the boundaries of what we know, how we know it, and where we get our information. Along with Up and Weekends with Alex Witt, the addition of Melissa Harris-Perry is good news for weekend political junkies who crave more political talk, and less shankings and shivvings. Harris-Perry is a popular figure with MSNBC viewers, who know her from frequent fill-in duty on the Rachel Maddow Show. She’s also known for her frank, intelligent commentaries on race and politics, which makes her an object of ire from many on the right, but which will help to set her show apart this election season, and beyond.